A significant conference was held in early April and provided good opportunities to show Korean economic and urban progress to the world journalists. Government establishes new cities in the empty areas of the country and gets benefits economically as well as inviting foreign investors. So, the Korean governors follow the concept of Smart City. The Smart City is an urban development concept to integrate information and communication technology in a secure fashion to manage assets of the city. So South Korea is developing urban services with this concept. 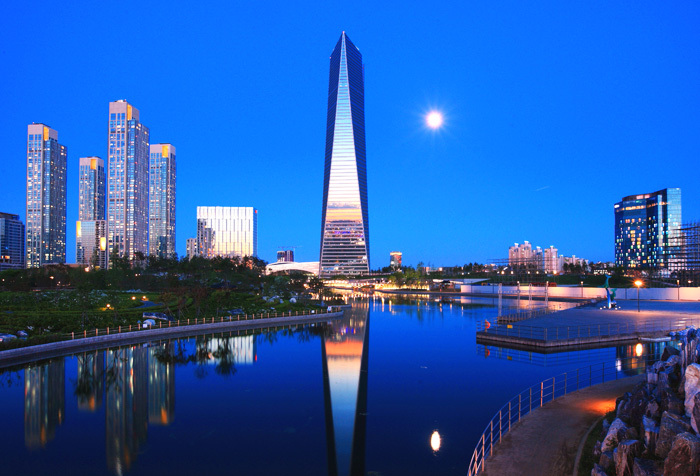 For that, we can give three major examples as Sejong City, Incheon City, and Gwangmyeong City. These cities are close to the capital, Seoul. Their importance arises around economic and technologic benefits. Fruitful trips to Incheon and Gwangmyeong was also organized. I previously visited the Sejong City and would like to start with this. 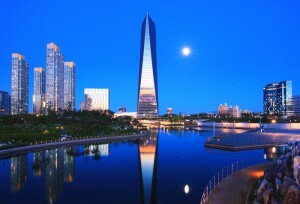 Sejong is South Korea’s de facto administrative capital city. It is located between three major cities Daejeon, Cheonan, and Cheongju. The capital Seoul is being in a cleft stick because of high population. Shortly, this administrative city was established to reduce the influence and dominance of Seoul on governance and economics. By 2012, the city was under a big construction and now it is ready to host new residents by aiming 200.000 people. Still, the capital plans to move more 36 government ministries and agencies to this city. Sejong city is also connected to major railroads and Cheongju International Airport. Another example is Incheon. Today 3 million people are living. Incheon is using its natural advantages as an important port and forming the world’s second largest metropolitan area. Incheon Free Economic Zone played a key role in the development of Incheon which was designated as Korea’s first free economic zone. It made Korea as an economic attraction place in the Far East. Incheon stands as an important element of industrialization process of the country. It hosts giant companies and serves as an ideal city for living. Gwangmyeong is a city in Gyeonggi Province. It is home to the world’s largest IKEA store at 59,000 square meters and large Costco complex. The Mayor Mr. Yang Ki-dae hosted the world journalists and showed the hospitality of Korean culture. He is a successful mayor and realized big achievements. Actually, I didn’t expect that he will share the very interesting dream of the future. Currently, South Korea is trying to stabilize regional peace and we are aware of the nuclear threat of the North. But he positively is thinking and planning the peaceful future for the region. South Korean smart cities are governed by smart people. These people will make the world better place. I totally support these significant aims and appreciate Mr. Yang and others.